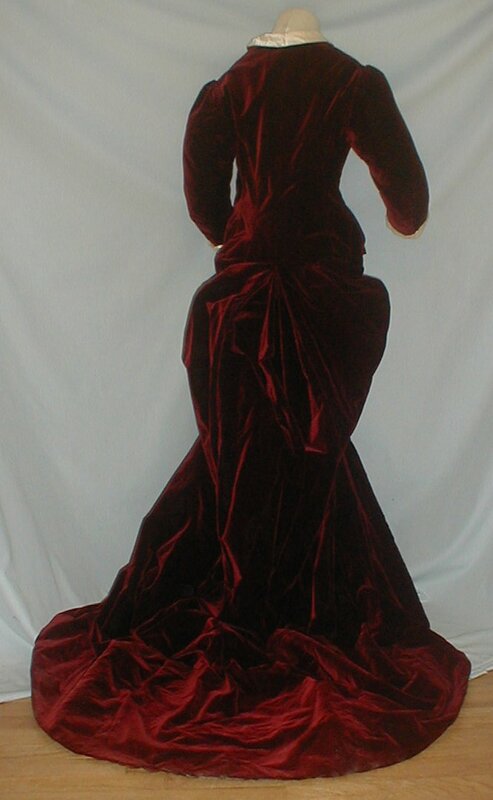 A regal 1880’s burgundy velvet polonaise bustled bodice that has recently been de-accessioned from a museum collection. 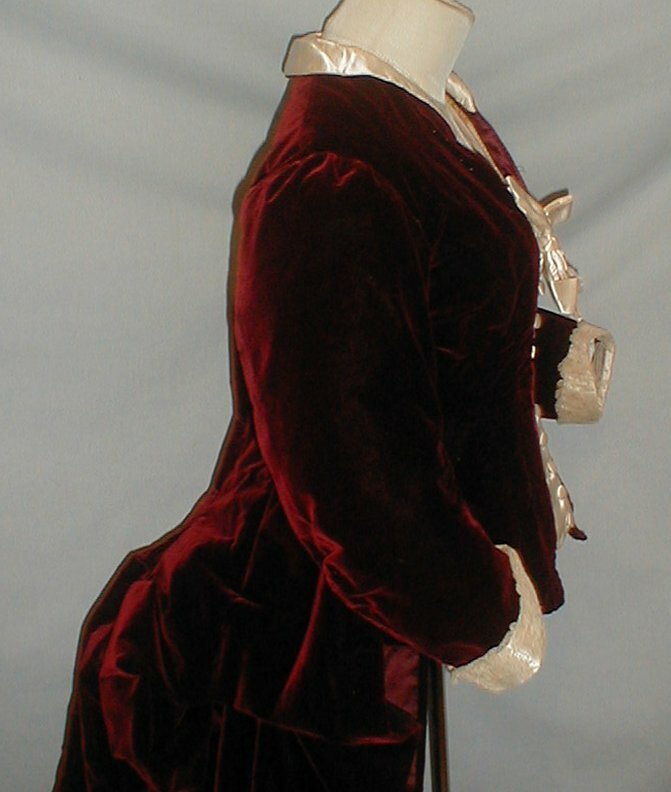 The cataloging tag is stitched inside the bodice. 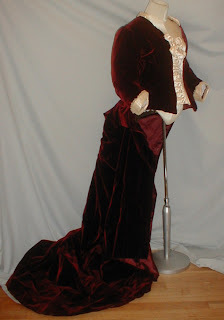 The bodice has a very long back sweep. The front of the bodice has an ivory satin insert that is trimmed with an ivory satin bow. 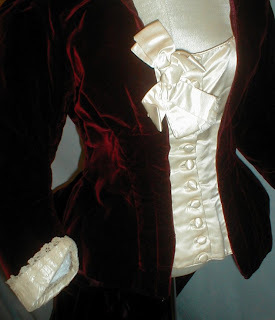 The collar is made of ivory satin and the sleeves are trimmed with lace. 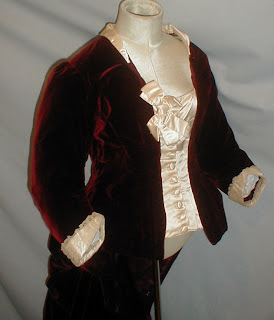 The bodice is lined with stripe cotton. 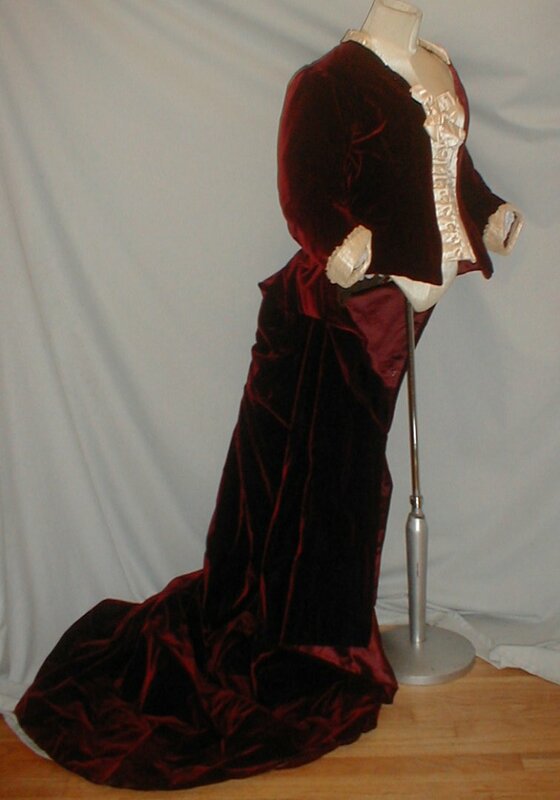 The skirt is lined with buckram and burgundy satin. The back is gathered into a bustle effect. The bodice has a front button closure. It is in very good and sturdy condition. There is a small 1 inch split on the collar. There are no other holes or splits. There is no underarm discoloration. Bust 35 Waist 30 Length of back train 73. 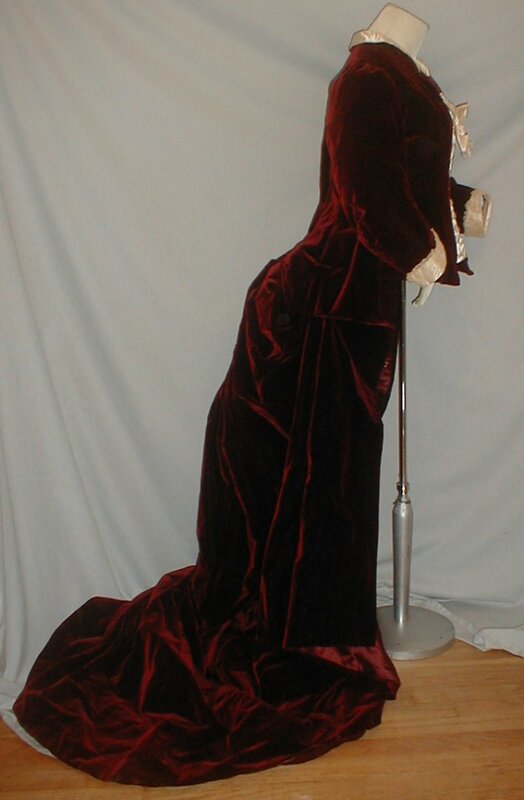 I think this is actually 1870's. I just love that it's a larger size.